Lloyd Flanders Mackinac outdoor wicker rocking chairs are the best rockers you can find. Deep seating luxurious rockers that are so comfortable you won't want to get up once you have sat in them. This rocking chair has a standard height back and comes with thick comfortable Sunbrella seat and back cushions. The top of the back rest sits at 34.5 in. from the ground. 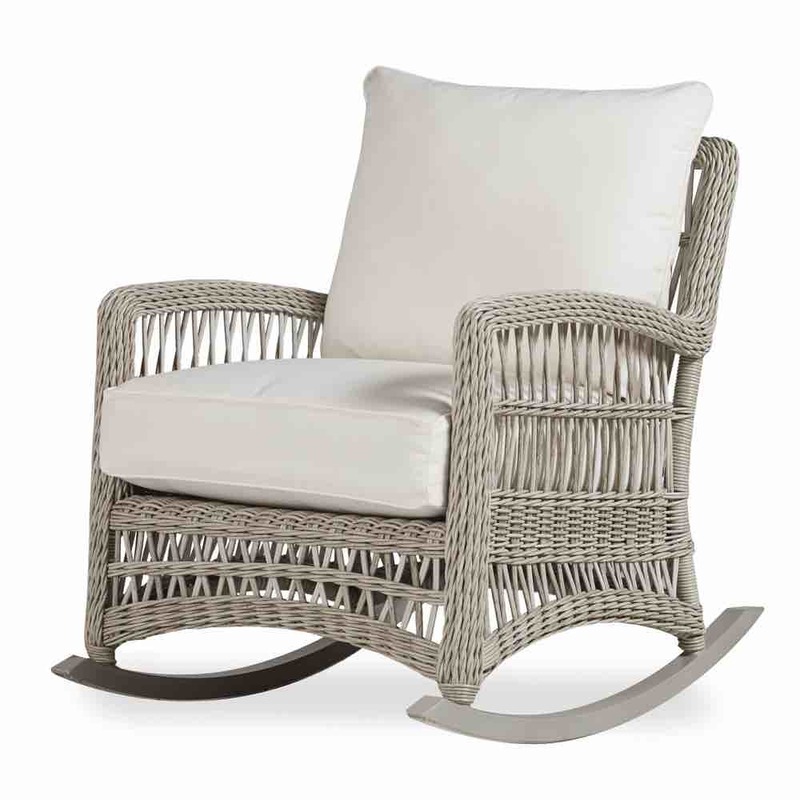 This wicker rocker is a must for your patio or porch. 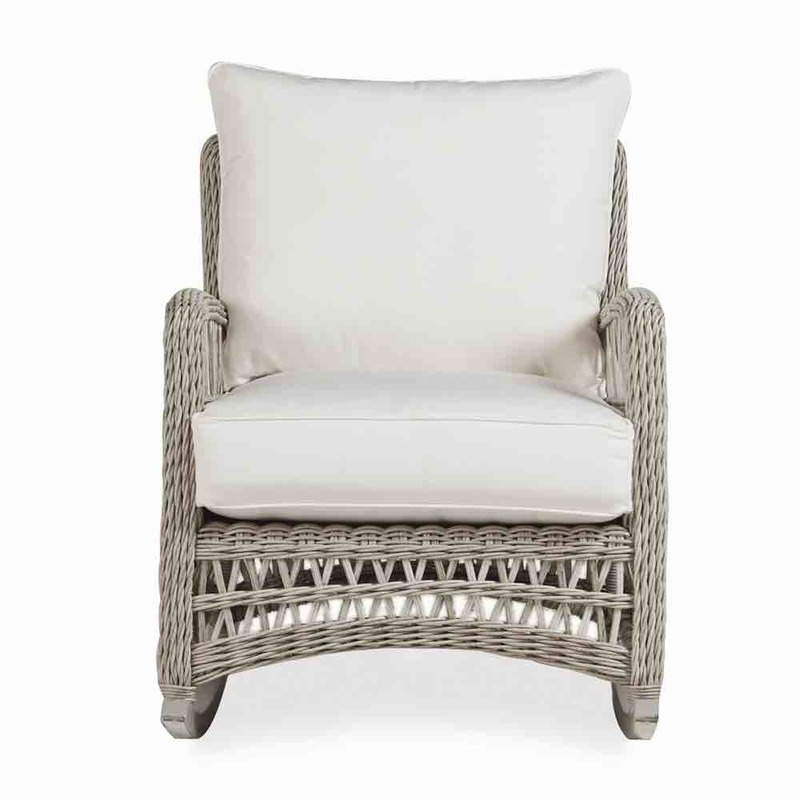 The perfect piece of wicker furniture to own and use every day. The frame is aluminum and the resin weave is 100% vinyl. By following the care instructions, your wicker furniture will last a very long time while looking and feeling great the whole time.